I must…Is always a good reason! 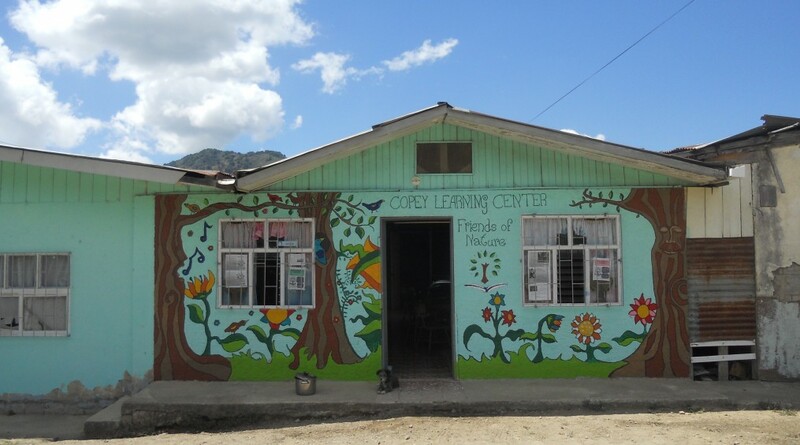 Several “Friends” have responded to my call regarding the URGENT need for English teachers at the Copey Learning Center for the months September, October, and November. I send out my biggest Thank You’s! Just last week I heard a radio ad that caught my attention. The ad challenged listeners to work within your area of strength about 80% of the time. The advice is to do those things you are really good at doing. Work to excel and get better, set goals, and enjoy your successes. Doing what you do well provides you with self-confidence, purpose, and value. BUT…the ad went on to sa y you should try something different. You should spend about 20% of your time taking on new challenges in life…stretching your comfort zone and moving onward/upwards towards the higher levels of your potential whether it is vocational or recreational. Folks…I am walking proof of this advice. In fact, those close by think I have my 80/20% upside down or backwards. Maybe so, but there are other less exciting ways to make the most of your life. I do not think we should reserve our discomfort, nerves, or capacity for stress just to deal with bad news or bad events and experiences. There are other worthy uses. Think about your 20% challenge. Take the Copey Challenge! latest details yet but will provide an update in next week’s Post. I have a strong feeling this year we will hit the “Big Time” by sending one or more to the National Spelling Bee Championship and returning to Copey as “winners”. Mariana, is our inspirational Spelling Bee role model who made it to the National level last year. She did not win the National Title but we predict this could be the year for her and others to do very well. “I’m very grateful for your economic and emotional support because this experience is very beautiful, special and unique. This competition shows me that CLC (Copey Learning Center) has a big impact in my life because here I learn a second language, that gives me important opportunities. My experience in this competition is very important for me because I love English”. Mariana is an Anne G. Broady Scholarship Fund recipient and is a prime example of the results we have come to expect from those students we support. I now predict that Mariana will one day be an excellent candidate for the “Pathway Project”. This will be an amazing story in the future. ← Ever Wanted To Do Something…Really Different?